I’ve often made Advent art with themes of pregnancy, and of nesting, but this is the first one about soil fertility! Beneath the surface of our yards and gardens, forests and parks, there lies an unseen world of creatures and micro-organisms that are crucial to the health of the soil; insects and worms, bacteria and fungi. Even in winter, these little beings are doing their thing, making a welcoming environment for new roots and new growth in the spring. Advent, like winter, is a time of hidden fertility, and making ready. If we look below the surface, inside ourselves, are we creating an environment that will allow the Presence of God to take root in us? What habits and practices might we want to cultivate, even if they are invisible to the outside world, that will help us be fertile ground for God’s work to thrive in our lives? 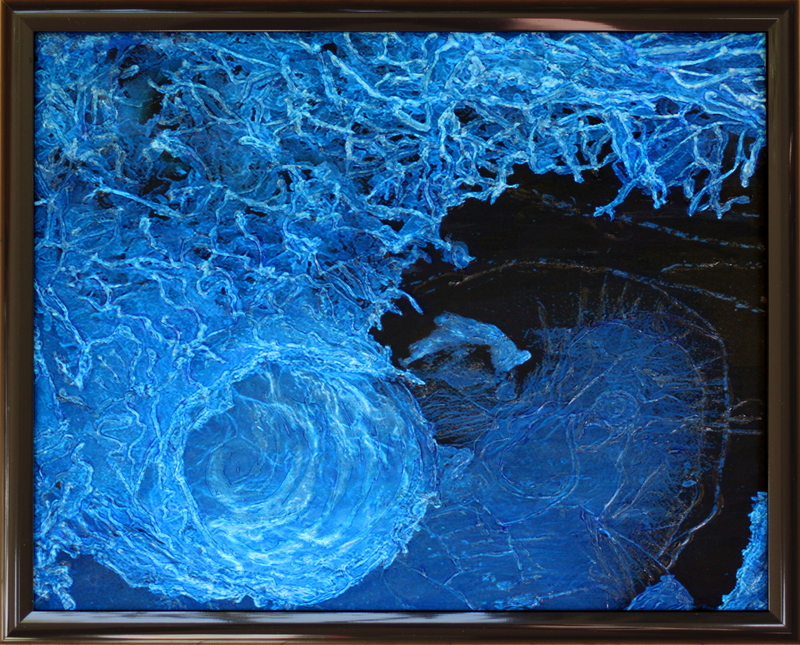 This piece was based on a scanning electron microscope photo of beneficial soil fungus around the root of a pine tree, from the Pacific Northwest National Laboratory. It is layered with clear silicone caulk, watercolor, and fluid acrylic. 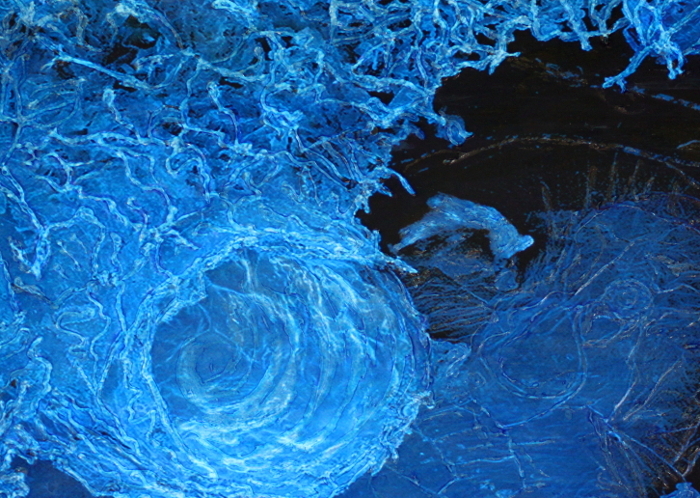 Fertile Ground ~ 16″ x 20″ ~ clear silicone caulk, watercolor, and fluid acrylic, on photograph. I appreciate your thoughts and words about Advent and preparation for the birth of Jesus!